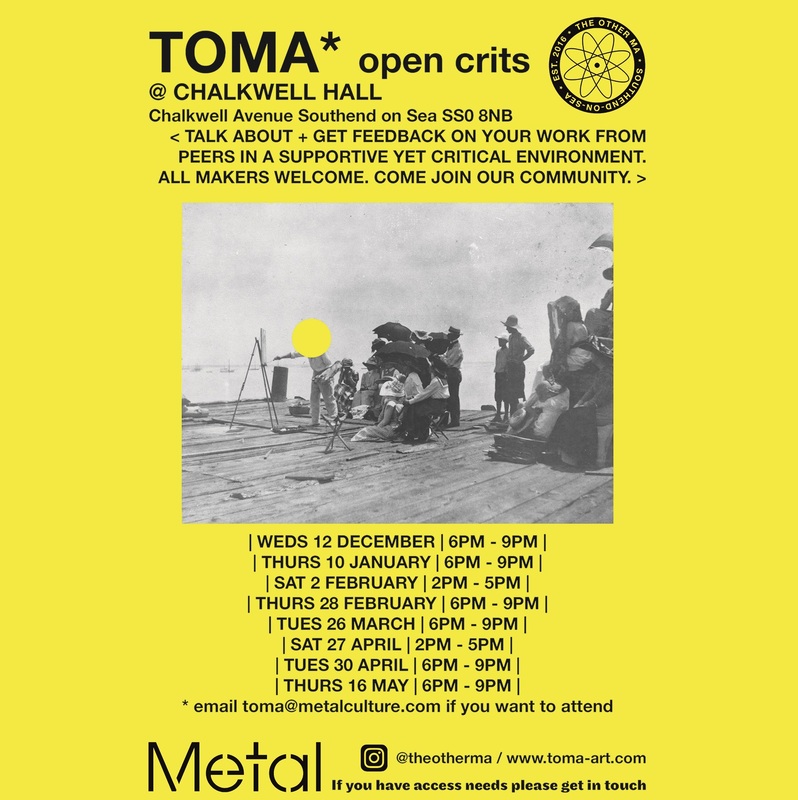 While the TOMA education programme draws to an end before the next open call we will continue our outward facing open crits series into the new year. 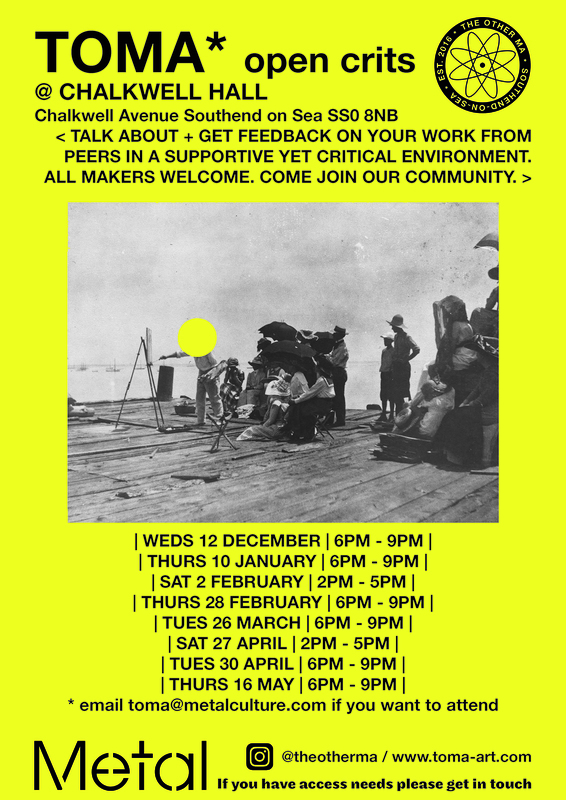 They are taking place on a variety of eves / days so hopefully a session to suit all – – – bring something 2 discuss or share – – – this can be an idea, the start of something, the middle or the end of a project – – – everyone who comes shows work, no hierarchies here, everyone gets 20 minutes to do with as they wish – present, ask a Qs, show work + not talk, perform, read, screen . . . . .